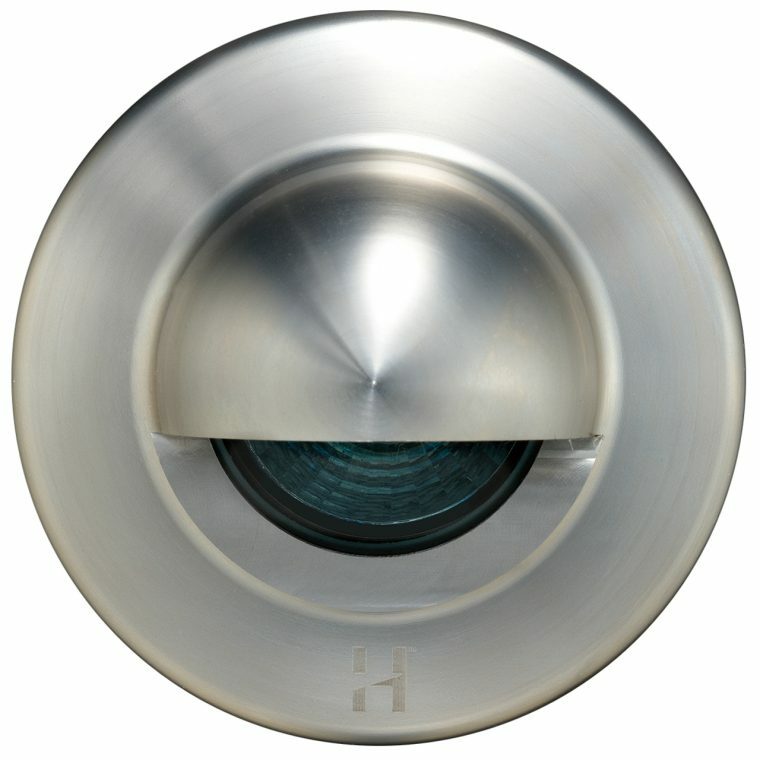 The Euro Step Lite Solid Eyelid flange has a smooth machined finish without mounting holes to disrupt the elegant line of the luminaire and is designed to fit into a mounting canister. Designed with a 69mm diameter flange, body machined from 45mm thick solid copper or 316 stainless steel, clear tempered glass lenses with high temperature silicon gaskets. This low voltage landscape lighting product is suitable for use with a MR11 – 5, 10 or 20 watt lamp (max) and is supplied with a 20 watt high quality European 5000 hour lamp.